Nicaragua is the largest nation in Central America, but also the least densely populated with a demographic similar in size to its smaller neighbors. It is located about midway between Mexico and Colombia, bordered by Honduras to the north and Costa Rica to the south. Nicaragua ranges from the Atlantic Ocean on the nation's east coast, and the Pacific Ocean bordering the west. Nicaragua also possesses a series of islands and cays located in the Atlantic Ocean. The country's name is derived from Nicarao, the name of the Nahuatl-speaking tribe which inhabited the shores of Lake Nicaragua before the Spanish conquest of the Americas, and the Spanish word Agua, meaning water, due to the presence of the large Lake Cocibolca (or Lake Nicaragua) and Lake Managua (or Lake Xolotlán), as well as lagoons and rivers in the region. 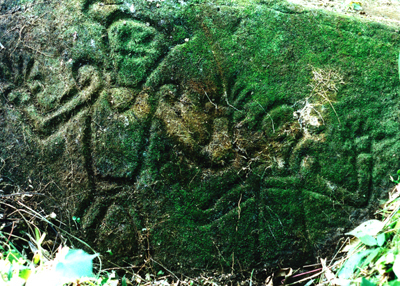 It is possible that Nicaragua was inhabited by Paleo-Indians as far back as 6000 years. 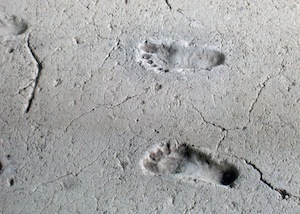 The ancient footprints ofAcahualinca suggest this, along with other archaeological evidence. At the end of the 15th century, western Nicaragua was inhabited by several indigenous peoples possibly related by culture and language to Indigenous groups from Mexico. They were primarily farmers who lived in towns, organized into small kingdoms, however, within three decades an estimated Indian population of one million plummeted to a few tens of thousands, as approximately half of the indigenous people in western Nicaragua died of diseases brought by the Spaniards.